The Crow T-shirt is for the fans of the intelligent sonbirds loved by many! The description of Crows on the back of the shirt certainly applies to them! 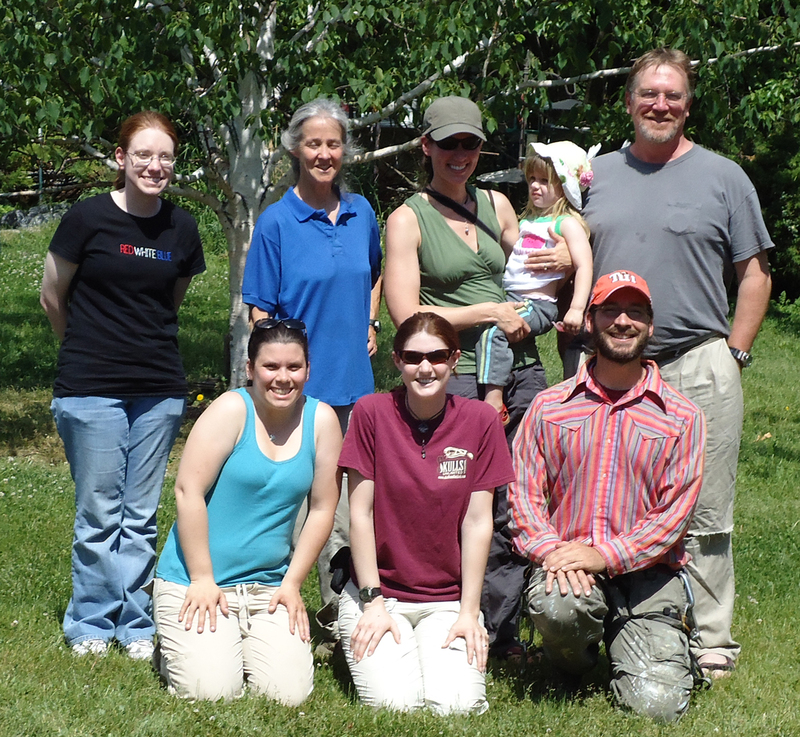 The Crow Research Group is located in upstate New York. With participants from Binghamton University and Cornell University they monitor and study a long-term, marked population of American crows (and the occasional fish crow) along with a recent addition of captive crows at the Ross Park Zoo. Their interests in the crows range from general life history questions to caching, calling, social dynamics, information transfer and personality. Here you can read about the crow-nerds past and present! Kevin launched this long term crow study over 20 years ago. 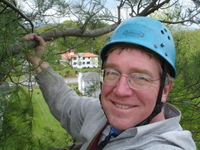 He is the instructor and coordinator for the Cornell Lab of Ornithology’s Home Study Course in Bird Biology and instructor and co-author of the on-line course Courtship and Rivalry in birds. He has worked at Cornell University since 1988 and is one of the world’s foremost experts on the behavior of crows. He helped create the Cornell Lab’s All About Birds website and wrote the original bird guide section. Kevin earned his Ph.D. in biology from the University of South Florida in 1987, where he studied the social development of young Florida Scrub-Jays. After teaching biology at several Florida community colleges, he came to Cornell University to curate the ornithology and mammalogy collections at the Cornell University Museum of Vertebrates. In addition to caring for the collections, he began his research on crows (now in its third decade) and taught classes in specimen preparation, field collecting, the evolutionary relationships of birds, and Neotropical canopy biology. Kevin is an Elected Member of the American Ornithologists' Union and has previously served as Secretary of the Ornithological Societies of North America, President of the New York State Ornithological Association, and voting member of the New York State Avian Records Committee. He was the co-editor and primary author for the Second Atlas of Breeding Birds in New York State (2008). A birder since childhood, Kevin was a member of the Cornell Lab’s World Series of Birding team, the Sapsuckers, for 16 years. He is interested in all aspects of birds (especially crows), from behavior to physiology, and from ecology to evolution. His research on crows has shown that this common and largely neglected bird has a fascinating social life and performs many complex cooperative behaviors.